It’s been quite a year! We had our usual SEMA trip, covered some interesting races, and even did a little bit of traveling for some grass roots drifting. I braved a storm in Brandon Wicknick’s trailer, and got a ride in his pro level drift car. I chatted with celebrities, and got to see a friend making a living doing arguably the coolest job in the world. I think we had a fun filled year, but for me the highlight was covering the Pirelli World Challenge. 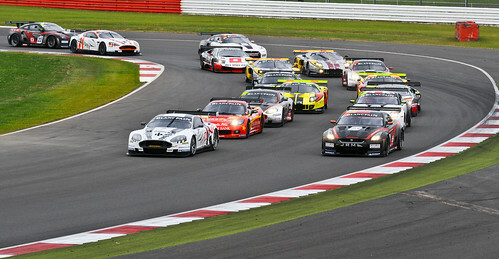 Sports car racing is something I’ve always been a huge fan of, especially GT racing. Le Mans, Daytona and Sebring are some of my bucket list events. I missed out on the ALMS stops when they came through Miller, so I always thought I would have to travel to see some big league GT racing. Then I saw Miller Motorsports Park’s event list. 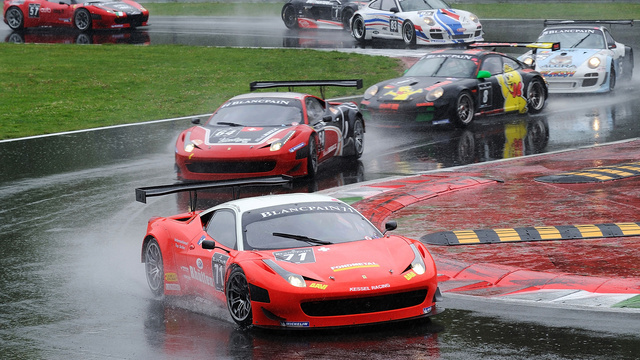 At the Utah Grand Prix, along side the Porsches and Stock Cars, would be the Pirelli World Challenge. I instantly applied for credentials, and then was told I needed to apply closer to the event, instead of four months early. So I waited. And waited. And waited. I applied a month before the event, and was approved. I was very excited, and nervous. This wasn’t a NASA event, this was one of the biggest road racing series in America! With international manufacturers! And television coverage! Years ago I got to shoot a Mountain West Conference men’s basketball game at the University of Utah. That was big, because even mediocre college basketball is bigger than road racing is in this country. The World Challenge was bigger to me, because I cared more about it than I did that basketball game. I also had to attend mandatory media meetings for the race weekend. It was here that I finally met one Chance Hales, whose work I had been seeing for a little while, East Coast shooter Shawn Pierce and Gavin Pouquette. It was awesome to meet up with new people who share the same passion. The four of us had a good time. At least I did. We talked about racing, race tracks, and cars in general. It was one of the best weekend I’ve ever had at Miller. It was also interesting in that I got to see how serious the regular shooters of the series were. One of the cars stalled at the start of the GT class race, causing a a multi-car incident that took a long time to clean up. I took this opportunity to lighten the situation, which did not go over well. Death glares from the regulars. Apparently everyone wanted to keep it deathly serious, except for me. I thought it was funny, and I was having the time of my life. And there you have it, that was my highlight from 2014. I am truly blessed to say that this is my job, that I take pictures of cars and write some words about them. I look forward to bringing you more pictures and words about racing cars, show cars, every day cars and whatever else kind of cars we come across in 2015. It’s been busy here at CAMautoMag, even if the site doesn’t seem to reflect that. We’re busy with a canyon cruise coming up and working on new ideas for the site. Yesterday I decided I needed to show what our day was like. I got working about 9am uploading and spreading the word about by latest [func-shun] video. But the day really started off about 11am when Mike(he gets a late start) needed to take his brother’s ailing Nissan Altima down to Nip N’ Tuck Performance. This was convenient since Dustin made some changes to the shop and wanted us to come down and see what was new. I wisely made the decision to bring my least reliable vehicle(the Viper) to play support vehicle. The showroom was looking nice and we documented the changes, enjoyed some of Dustin’s wife’s chocolate chip cookies with double stuff Oreo’s inside(hint to any other shops wanting features, MOAR cookies! ), and challenged the crew to finish the laundry list of problems on Mike’s brother’s car in 1 hour. At this point we were joined by Dave who literally lives a stone’s throw from Nip N’ Tuck and Tommy dropped by during his “lunch break”. In just one hour and 17 minutes, the job was complete! During this time Dave and I decided to switch cars to something less brutal(the CC). Upon our return, we broke out the video cameras for a healthy combination of magic and awkwardness. By the time that was done, we had to head to pick up some food and get to a previously scheduled shoot. And what a shoot it was! Expect it next week. The Nissan Juke that wanted to pass, backed off after these flames were spitting game. We’d planned to hit the late night drag races at the track and had an hour or so to kill after the shoot, so we did what car guys do and headed to my house to play Forza 4. We met Tommy back out at the track along with some more car friends and managed to clear out an entire section of the track with our loud, obnoxious banter, but we had to support a couple local Evo’s that are easily 10-second cars, but fear of breaking parts lead to 12.1 and 12.0 second runs. After the races, we hit up everyone’s favorite late night eatery, Denny’s where, like men, we enjoyed hot chocolate and breakfast fare. We rolled out and went our separate ways from there, but we all got home about 3:30-4am after starting at 11:30am. More days like this need to happen. And now, some parting shots of the crew. Shot, edited, and posted from my iPhone, while holding my 1-month old daughter in my arms. Please excuse formatting mistakes. -Trent Bray, All rights reserved.